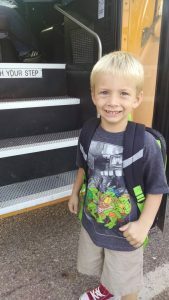 Every fall we send our kids back to school and trust that we are putting them in the caring hands of a new teacher. We hope and pray that the child succeeds and grows throughout the year. Whether your child is right on track, gifted in reading, having behavioral struggles, or special needs of any kind, as parents we all worry if they will get the attention they need and the care they all deserve when we hand them over each day. Now that we’ve reached the final stretch of the school year, we are looking back to see how far the child has come. Many thanks for that growth goes to the amazing teachers that cared for them all year. More often than not, we can see a very lasting impact that has been made on the child through the time they’ve spent together. Living and working in a small town, I have the opportunity to meet many teachers outside of the classroom, whether it is in line at the grocery store, at church, little league games, or even as customers and one thing that stands out to me is that being a teacher is not just a job to them, it is their life. They care for the children as if they are their own and when they leave for the day, they don’t quit thinking of the needs of those children. They put in energy, time, money, and love to leave an impact on the children that walk through their doors. So in honor of Teacher Appreciation Week, over on our Facebook page today we have a contest going on- we’re asking for one word to describe a teacher in your child’s life that has made an impact. Some of the words shared so far: Amazing, Patient, Encouraging, Caring, Inspiring, Sincere. 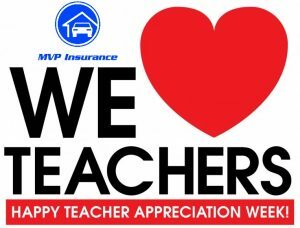 One lucky entry will win a teacher appreciation gift from MVP: a local gift card pack for the Hot Spot, Whit’s, and Troyer’s!